Teaching students with ADHD presents challenges and opportunities. In this lesson, you'll develop an understanding of ADHD and how it impacts children and their ability to learn in a classroom environment. We'll discuss the reasons for many behaviors associated with ADHD, some myths about ADHD, and how ADHD impacts the skills most of us take for granted, such as estimating time, monitoring effort, organizing and planning, and controlling impulses and attention. By the end of this first lesson, you'll have a new appreciation for students who struggle with ADHD. In this lesson, we're going to take a close look at the diagnostic process. There are lots of steps a teacher takes in documenting a student's behavior, consulting with school personnel, and effectively communicating with a student's parents. We'll cover all of these steps, as well as the steps a pediatrician and a clinical psychologist take in evaluating a student. We'll also discuss the specific symptoms you can look for in a student and how to determine whether the student might be a candidate for evaluation. 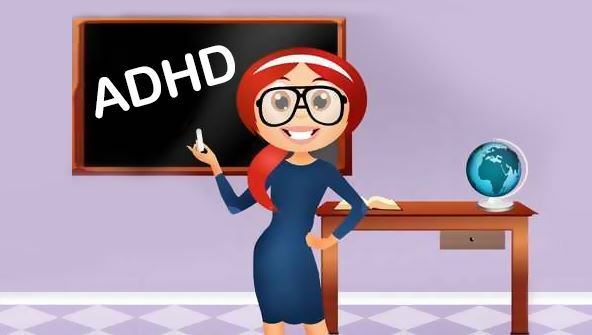 And we'll look at the differences between girls and boys with ADHD. Lesson 3- Are They Putting in the Effort? Students with ADHD are often accused of being lazy, or simply not trying. In this lesson, we'll explore the issue of effort, and how students' perception of effort may be different from what others observe. We'll see how problems with effort impact school performance, and how brain chemistry relates to effort. We'll also discuss how a student's self-knowledge impacts positive behavior. Students with ADHD often have trouble with activating their brain. Sometimes, it takes a great deal of effort to activate it at all. Some students have brains that are overactive, and others have trouble keeping their overactive brain private. In this lesson, we'll look at three types of activation problems: overarousal, underarousal, and impulsivity. We'll explore the relationships between activation and motivation, and activation and brain chemistry. We'll discuss the activation process, as well as strategies we can use to help students with these problems. Students with a high activity level can't seem to keep from wiggling, bouncing, tapping, and talking in the classroom. And this can be extremely taxing on a teacher. Chances are, you've encountered children with a high activity level before, and you've probably struggled to find ways to get these children to settle down long enough to complete an assignment. Today, we'll discuss why some students have a need to move and why movement is helpful to them, and we'll look at some of the most common movements and ways to help these students take care of their need to move without bothering you or anyone else! You'll also learn ways to incorporate movement into your curriculum that will help many of your students be more successful in school. We've finally gotten to the A in ADHD—attention! We all attend to both internal thoughts and external stimulation. Students with ADHD struggle with attention, because their mind wanders and they don't have control over this in the same way that the average student does. Today, we'll take a close look at what attention is, how it works, how it needs to be regulated, and strategies that can help our students control both internal and external attention more successfully. So pay attention as we venture into the world of attention regulation! Today, we'll look at ADHD's impact on emotions. We'll explore why this occurs neurologically and three of the most common emotional patterns we see in students with ADHD, as well as specific interventions we can use to decrease long-term negative effects. The effects of ADHD on a student's emotions can be significant. In this lesson, you'll meet three students who are dealing with some significant emotional challenges as a result of their ADHD: Ed, who copes by shutting down; Kathleen, who has developed severe anxiety; and AJ, whose frustration manifests in angry outbursts. Want to better understand the memory process? In this lesson, you'll learn why memory is so important, how memory works, and what happens when memory breaks down. We'll discuss working memory, short-term memory, and long-term memory. And, as always, we'll identify a wide variety of strategies that will improve memory functioning. Even though our focus is on students with ADHD, we can all benefit from improving our memory skills. Are you ready to store this information in your memory bank? Now that we understand how ADHD affects activation, attention, impulsivity, and memory, we can focus in on how ADHD impacts school performance. If so many of these students are smart, why do they fail? If we test their reading skills, they may do fine, but why do they make so many mistakes on reading comprehension tests? They have great ideas and answer questions in class, but their writing is often unorganized and maybe even unreadable. They seem to know the math you're teaching, but they do poorly on the tests. In this lesson, we'll look at these important issues, and explore a strength-based problem-solving model that you can use across the curriculum! How do you incorporate learning strategies for students with ADHD while still addressing the other students' needs in the classroom? This is what we're going to discuss in today's lesson. We'll talk about how to create an inclusive classroom that accommodates the needs of all students, and how to treat all students fairly and give them the respect they need and deserve. And we'll discuss classroom rules that are effective for all students. We'll also talk about the underlying beliefs that support these rules and how to apply these beliefs in your classroom. This lesson focuses on specific materials teachers can develop prior to the opening of school, to prepare for the effective inclusion of students with ADHD. Then there are the teaching tools to use during lessons, to help students with ADHD stay engaged and on task. Parents: there is a chapter specifically for you, which focuses on ways to adapt many of these same strategies when you are helping your children be successful with homework. In our final lesson, we'll discuss how students can take all of the tools we teach them and use them to their advantage. Students with ADHD need to be able to rely on themselves as they navigate the education system. Today, we'll meet Brian, a junior in high school, who will share with us how he improves his self-knowledge, how he compensates for his ADHD, and the strategies he uses to succeed in school.